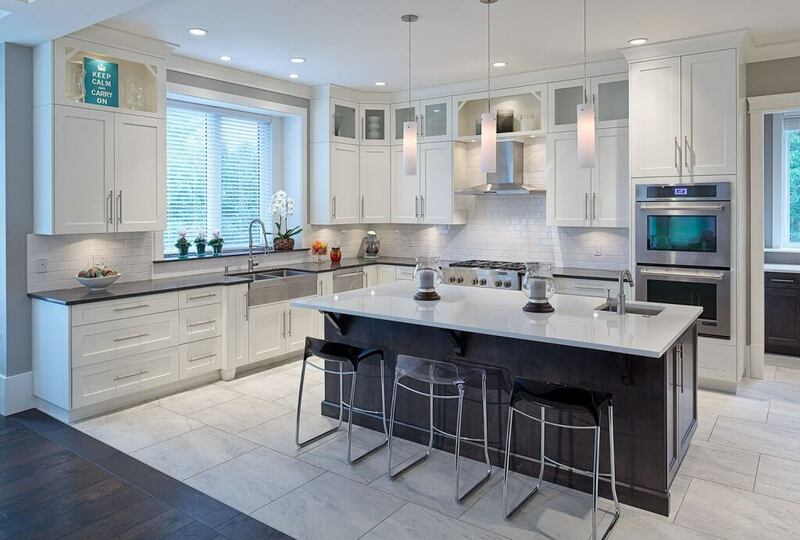 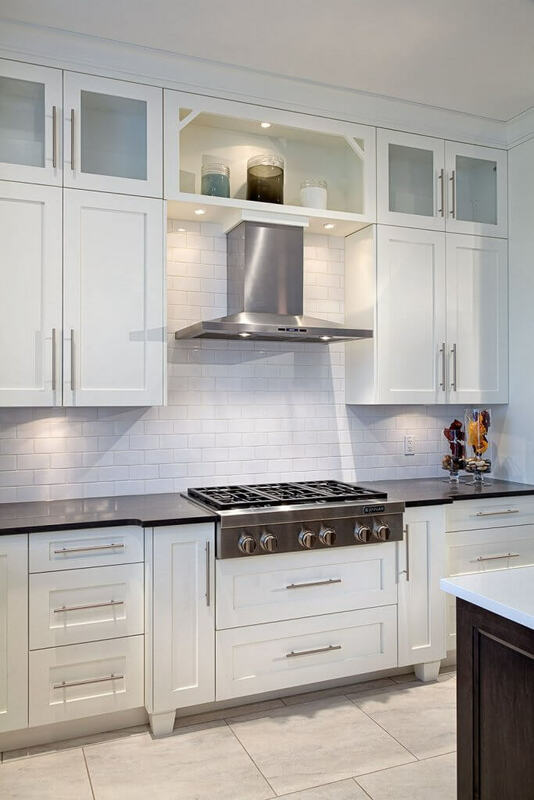 For a home that is both functional for a family while remaining trendy and modern, this kitchen was designed with classic 3-inch shaker doors, all finished in a bright white. 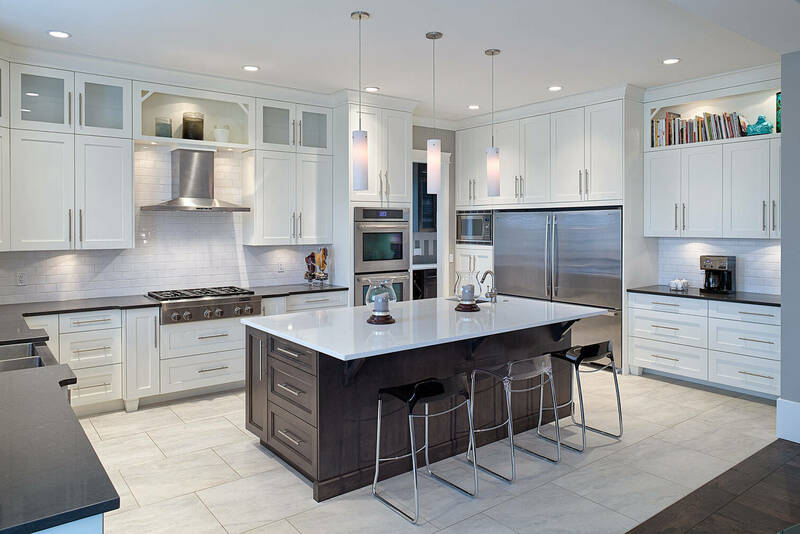 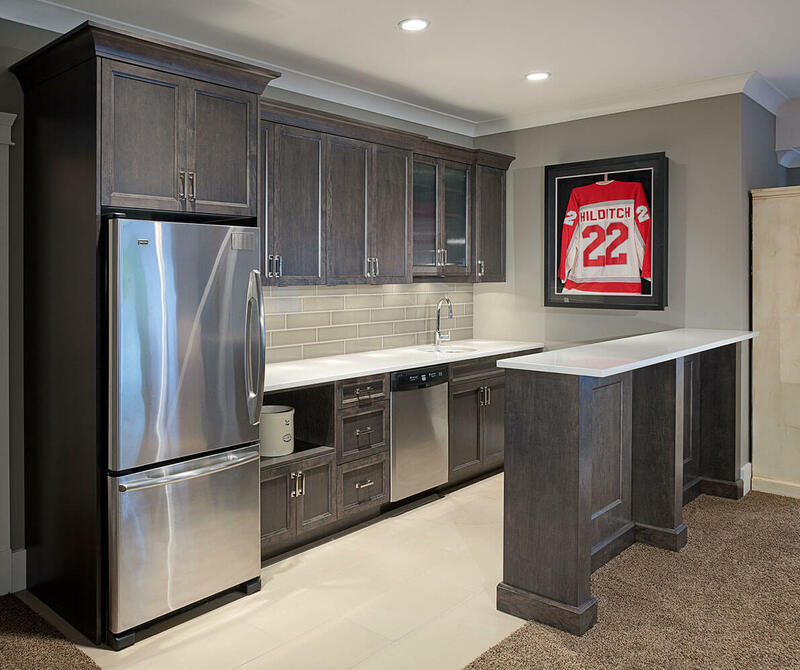 Large appliances are complemented by vertical and horizontal cabinets that wrap around the entire kitchen and underneath the island for lots of storage space. 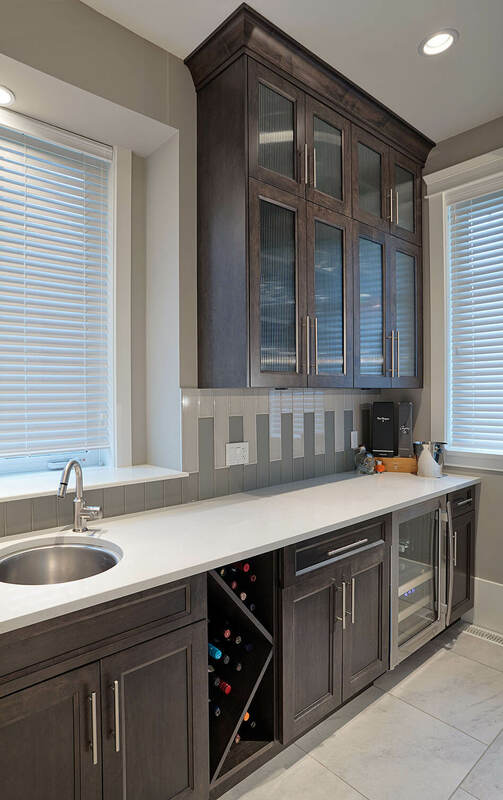 The overall design is enhanced with the dark thin countertops, open and clear upper cabinets, and under lighting to highlight the modern style. 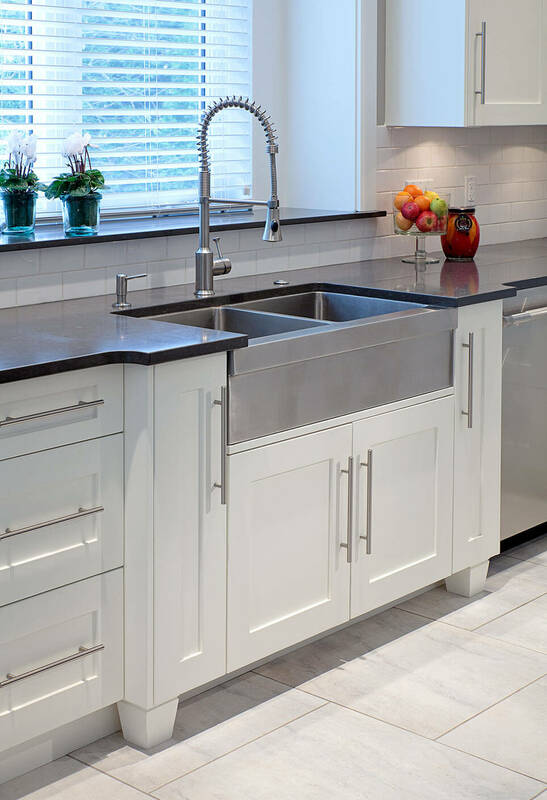 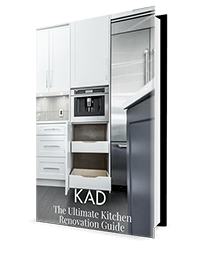 Beneath the simplicity of the design is the unbelievable practicality for a busy kitchen—complete with a large island, lots of deep counter space, and endless storage. 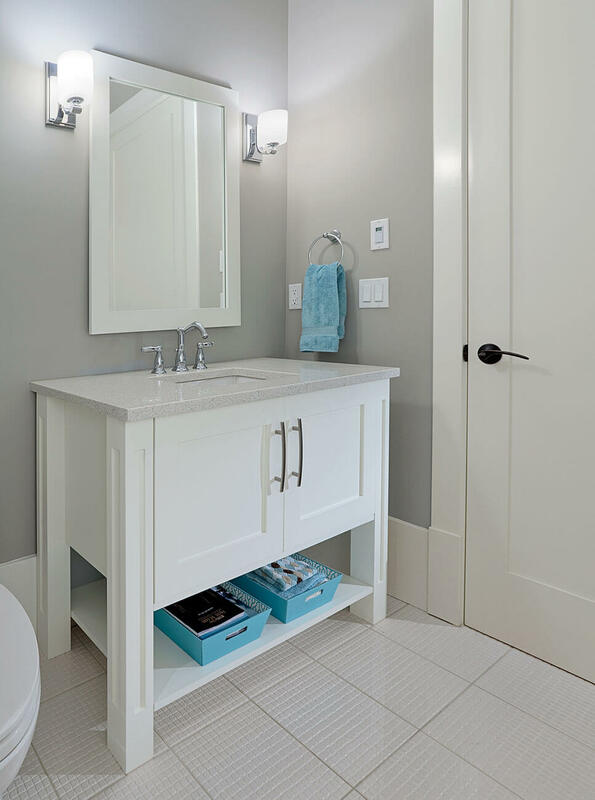 The Colonial doors used in the ensuite keep the ambiance airy and fresh. 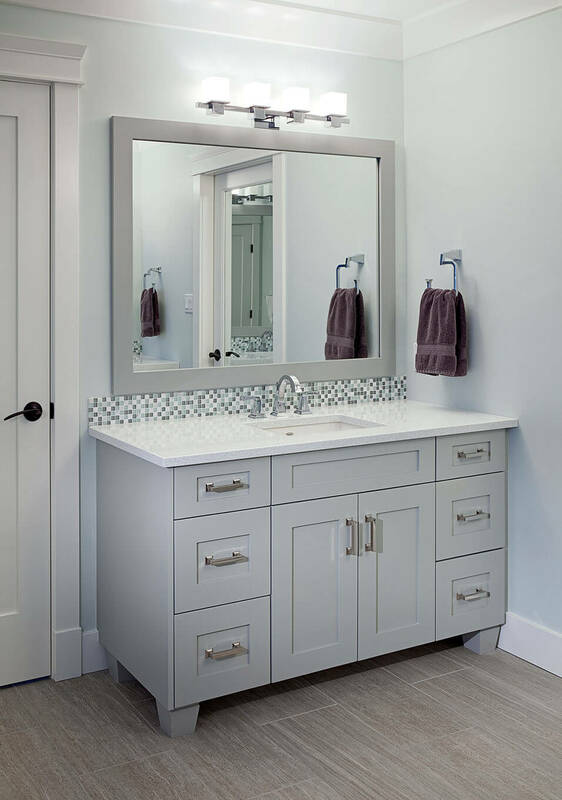 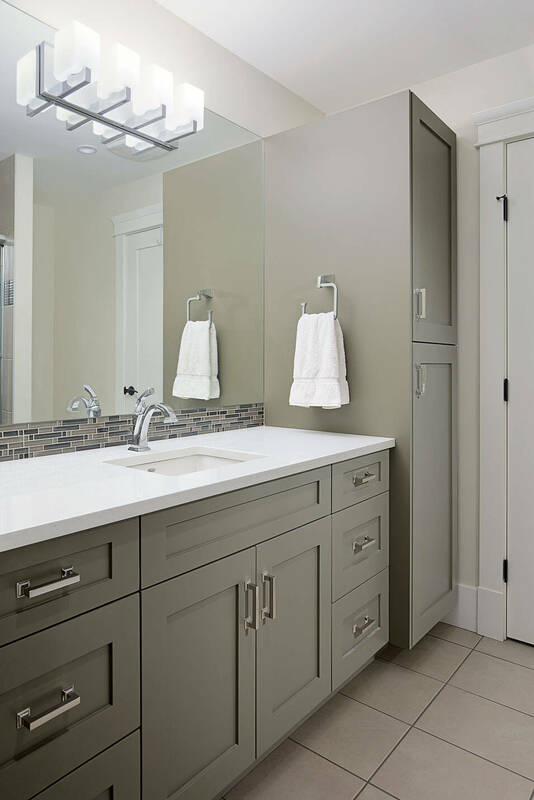 Using Lamp Room Grey and custom asphalt glaze, the doors complement the details already in the room and add to the soft aesthetic that is scattered through the rest of the home.